Instead, it’s more likely familiar and up-and-coming — if less known — musical acts are more likely to grace the stage at the New Ute Events Center. A number of factors — mainly financial — will likely mean the recently opened former movie theater, at 132 E. Fourth St., won’t be hosting currently popular, well-known musical performers for small, intimate concerts, according to the concert promoter who is in charge of managing the facility for the city of Rifle. In an interview, he said most artists want about 50 percent of the gross revenue from their performances. With fewer seats in the 8,600-square-foot Rifle facility than larger venues, a limit to how high ticket prices can be set due to the local economy and a smaller base of potential concert-goers, the gross isn’t satisfactory, Wilson added. Chaney said one familiar country-western band, the Kentucky HeadHunters, almost agreed to perform in Rifle. Riders in the Sky will be a feather in the venue’s cap, Chaney added. “It’s more likely you’ll see acts like Riders in the Sky, maybe a George Winston and the solo, duo and trio performers that don’t have the huge overhead,” Wilson continued. Through Thursday, Wilson said close to 100 tickets for the Riders in the Sky show had been sold at $25 each, and he expected it to sell out. Examples of performers that Wilson said might find the events center an attractive venue include Richie Furay, a Rock and Roll Hall of Fame member; and Chris Hillman of the 1960s rock band The Byrds. Other successful acts might include “clean” comedy, jazz a couple of times a year and acts that appeal to all ages, he said. Getting Rifle residents to spend their limited entertainment budgets on shows at the events center is another challenge, Wilson noted. Chaney agrees that the depressed state of the Rifle economy means local residents are very unlikely to pay more than $30 to $40 a ticket, limiting the musical acts that will appear in Rifle. Technology may help make Rifle concerts financially attractive to performers, too. Chaney said one trend in the music industry is to have bands and performers offer access to their live concerts over the Internet for $2 or $3 a view. That can help generate tens of thousands of dollars if a concert proves popular, he said. 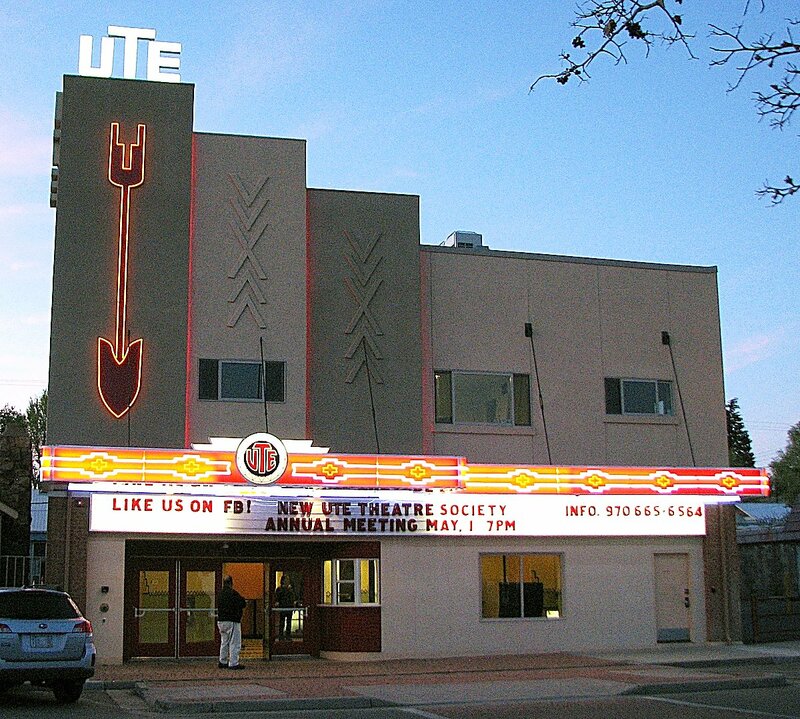 The programming approach Chaney and the NUTS (New Ute Theater Society) group are taking is to attract diverse, talented performers from the region and state. Chaney pointed out when he worked with the LoDo Music Festival in Denver, Jakob Dylan (son of rock icon Bob Dylan) and his band, The Wallflowers, played there a year before they became nationally known. “We want to get some film festivals, maybe one on rock climbing, since we have Rifle Mountain Park,” which is a popular rock climbing destination, Chaney said.